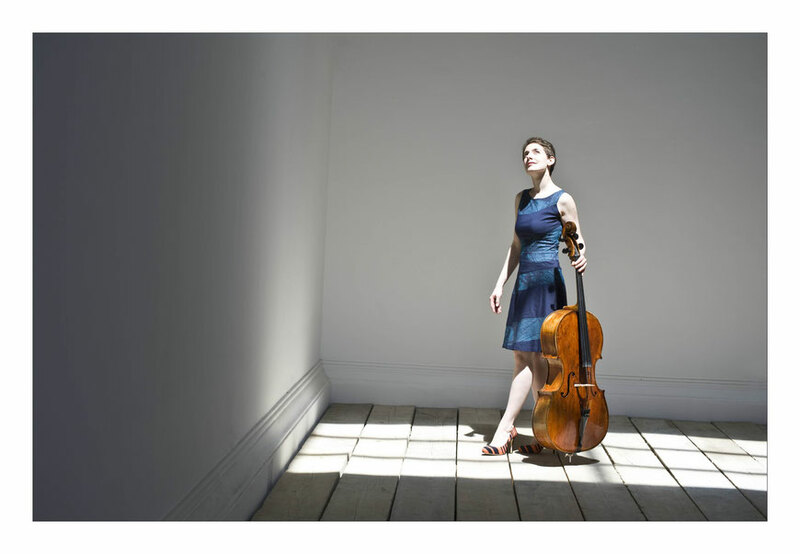 Cellist Katharina Gross - cellomondos Webseite! Katharina studied at the Musikhochschule Lübeck with David Geringas, Musikhochschule Köln with Frans Helmerson (Diploma) and at the Royal Northern College of Music in Manchester with Ralph Kirshbaum (Diploma in Professional Performance). She is prizewinner of several international competitions. She was soloist with the Philharmonic Orchestra of Kiev, the Philharmonic Orchestra of Klausenburg, the Staatsorchester Kassel, the Symphonic Orchestra of Thüringen and with the Salzburg Chamber Soloists on tour to the USA (Kennedy Center/Washington DC, The Old Cabell Hall/Charlottesville, the American Theatre in Hampton, at “Abendmusik” in Lincoln, the Bethel Performing Arts Series a.o.). Katharina performed as a soloist and chamber musician at the at the Berio Festival in Muziekgebouw aan ´t IJ, Concertgebouw Amsterdam, Musikverein Vienna, Konzerthaus Vienna, the Kennedy Center in Washington DC, Bodenseefestival, Nafplion Festival, Cello Biënnale and Berio Festival Amsterdam, Europäische Wochen Passau, the Al Bustan Festival, the Fadj Festival in Teheran and at the Omnibus Laboratorium in Tashkent amongst others. CDs with cello solo repertoire by Ligeti, Kódaly, Cassadó and Harvey were released by AULOS/Musikado and concertello records. In 2011, Katharina Gross received an international scholarship in the field of culture from the Federal Ministry for Education, Arts and Culture in Vienna. Together with composer Arnold Marinissen Katharina created the Cello Songbook. Especially for Katharina Gross and the Cello Songbook, scenographer and media artist Marion Traenkle created the Cello Box, a "micro theater" with ledlight. The Cello Songbook/ Cello Box performed close to fourty times in the last year, and featured in the Cello Biennial Amsterdam, the Dutch Cross-Linx Festival, Architecture Film Festival Rotterdam, Celloherbst am Hellweg in Germany, and in many other places. Furthermore, the music was broadcast on Dutch Radio, and the EP Things are Perfect is available on iTunes and Spotify. In 2014 Katharina Gross started the project cellomondo: composers from all around the globe and their students write pieces for cello solo. The first seven compositions of the project were premiered in November 2014 at the Institut für Elektronische Musik und Akustik in Graz. In 2016, Katharina performed 14 cellomondo pieces in a 5-hour-long "cellomondo marathon" at the Gaudeamus Muziekweek in Utrecht/Netherlands.